Have you heard the one about the aliens and the pyramids? Or what about the technologically advanced but tragically lost city of Atlantis? 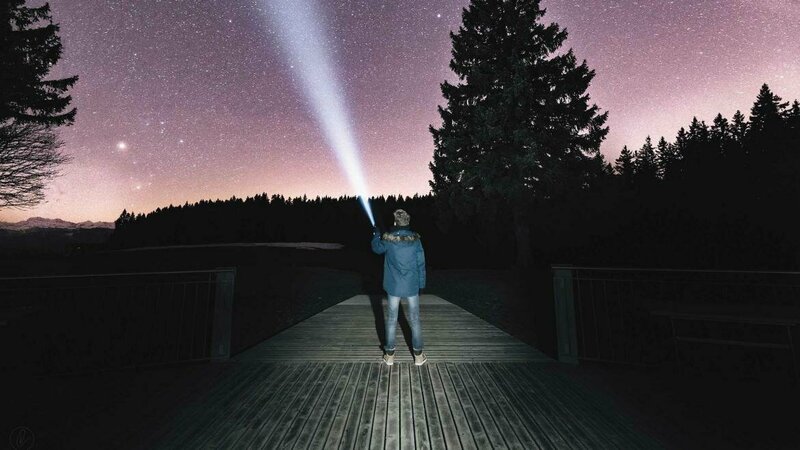 Chances are that most of us have encountered at least one such story—a tale that tries to explain the past in a way that can sound scientific, but in doing so ignores the evidence and methods of science. Why is this alternative archaeology so popular? And how do we tell fact from fiction? Assistant Professor Matthew Peeples, co-director of the School of Human Evolution and Social Change's Center for Archaeology and Society and an archaeologist of the Southwest U.S., is no stranger to the weirder side of his field. He has investigated false claims and has even been accused of covering up the truth. 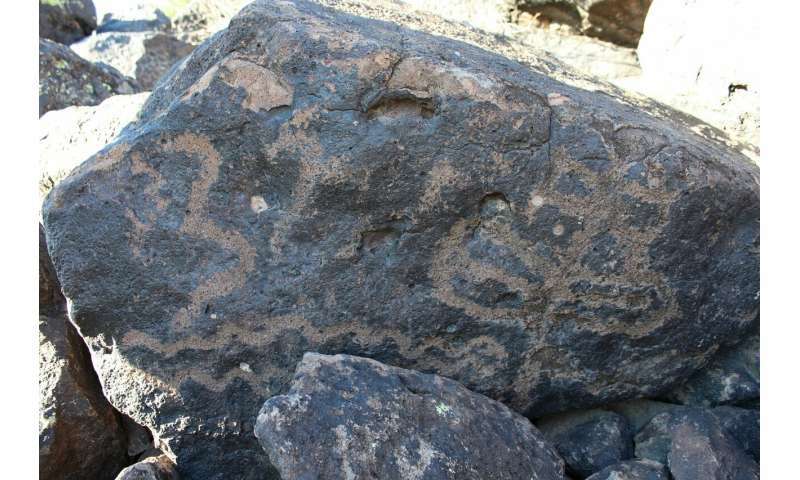 For Arizona Archaeology and Heritage Awareness Month, he sat down to discuss the background on these conspiracy theories, including one surrounding a petroglyph at the nearby Deer Valley Petroglyph Preserve. Question: What are some examples of outrageous archaeological narratives in pop culture? Answer: Probably the biggest out there involves the notion that intelligent alien life visited human populations in the ancient past and either influenced or directed the development of human cultures. This idea is pervasive in science fiction going back to early 20th-century authors like H.P. Lovecraft, but has gained popularity in more recent years through a deluge of books and TV shows like "Ancient Aliens." These ideas are not supported by scientific evidence, but they've become so prevalent that many people believe there must be something to them. To use the Great Pyramids in Egypt as an example, archeologists have clearly shown how these structures fit in a broader tradition of smaller stone structures and earlier attempts at pyramid construction. The building technology is impressive, but we don't need to invoke aliens to explain it. Another popular notion is that professional archaeologists themselves are actively hiding the truth about the past. I've personally had people accuse me of being part of a widespread cover-up or conspiracy. This trope shows up again and again in pop culture through shows like "The X-Files" or "Stargate." In reality, archaeologists love to test and retest each others' ideas about the past using new data and discoveries, which is what pushes the science forward. 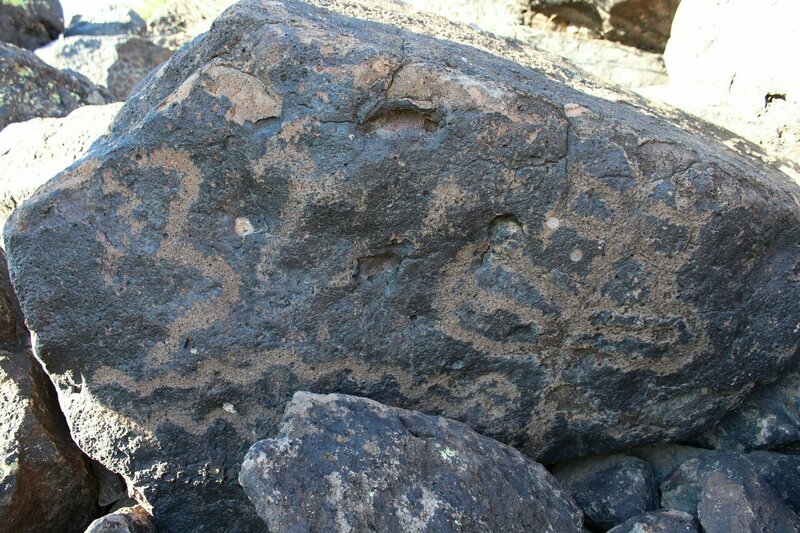 Q: What are the myths surrounding the Deer Valley petroglyphs? A: I wasn't aware of this until visitors at the preserve asked about it, but there was a mention of Deer Valley in a book published in the 1970s claiming to show evidence of Europeans visiting North America prior to the arrival of Christopher Columbus or the Viking colonization of Newfoundland. The book featured drawings of rock art from throughout North America supposedly depicting boats from various places in ancient Europe and the Near East. One, from the Deer Valley Petroglyph Preserve, was said to depict a Punic sailing vessel along with the words "the ship" in Iberian Punic. I worked with a group of honors students in my "Frauds, Myths and Mysteries" class to track down this claim and assess it. It took us quite a while to locate the petroglyph in question, largely because the drawing bore little resemblance to the actual petroglyph. We took high-resolution photos and made a 3-D model of the petroglyph, and we were able to show that the features that made both the supposed inscription and ship "convincing" were either exaggerated or were absent in the actual petroglyph (which archaeologists had previously suggested may have been a butterfly). Q: When did conspiracy theories like these first come about? And why are they still popular today? A: False archaeological claims like these have a really long history. There are accounts of a supposed discovery of the tomb of King Arthur and Guinevere by monks at Glastonbury Abbey in 1191, shortly after the abbey was burned in a massive fire. The story attracted a lot of pilgrims who funded the reconstruction of the church, but more recent archaeological work has shown that the pre-Christian cemetery dated many centuries later than would be expected were there truth to this story. Most historians now chalk this up to a publicity stunt by the abbey. There are even similar references to such claims going back to at least the second century A.D. I think these claims are still popular today for a number of reasons. 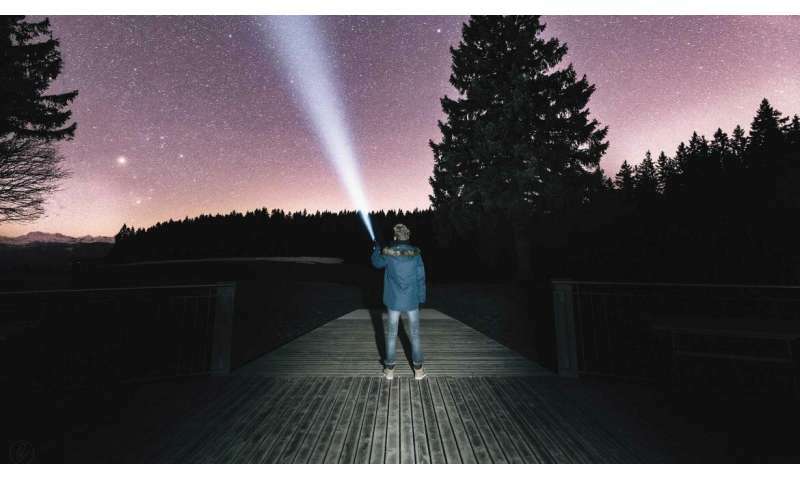 First, there is a lot of money to be made from selling pseudoscientific ideas to the public, as is evidenced by the numerous books and TV shows that keep popping up. A lot of these ideas are also tied to nationalism and various other kinds of group identities. People have a desire to claim that their ancestors were the first to arrive in a new land or develop some advanced technology, claims that have even been used to justify war and invasion. Q: How do archaeologists separate plausible arguments from pseudoscience? What are the challenges in that? A: Archaeology is all about the systematic and scientific study of human societies based on the stuff they leave behind in context. A lot of pseudoscientific ideas attempt to put on the trappings of science by using the jargon but completely ignore the scientific process of formal observation and evaluation. Plausible arguments need to be supported by evidence rather than simply asserted, and the methods and data used should be made available for scrutiny. Be suspicious if someone is making conspiratorial claims that scientists' lack of acceptance for their ideas is about suppression of the truth. Relying on high-quality, peer-reviewed sources will also ensure that people with the relevant expertise have had a chance to vet the work. I'm a fan of a set of tools Carl Sagan published as a "baloney detection kit," which are a series of questions you can ask yourself about a given claim to help you fortify yourself against falling for pseudoscientific claims. Q: Where can the public look for accurate archaeological information? A: If you're interested in archaeology here in Arizona, there are a lot of excellent groups and organizations you could get involved with. The Arizona Archaeological Society has chapters throughout the state that offer talks, tours and even opportunities to work on archaeological projects. There are also nonprofits like Archaeology Southwest in Tucson that provide high-quality information for non-specialists on the archaeology of the region.